or any other event going on in the Florida writing and book community, Lou will post it on Florida Book News. Postings will occur twice monthly. Send news and announcements by the 1st or 15th of the month and they will be posted on the 3rd or 18th. 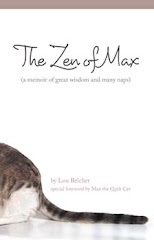 Submit writing and book news by email to Lou@LouBelcher.com or by snail mail to LouBelcher, P.O. Box 61228, Palm Bay, FL; 32906-1228. You can begin to send in your news now.